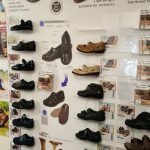 Our extensive range of specialist footwear is custom made to ensure full mobility and independence. 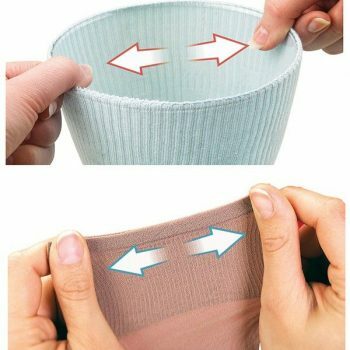 The design of the shoes ensure that the shoes can be easily put on and taken off. 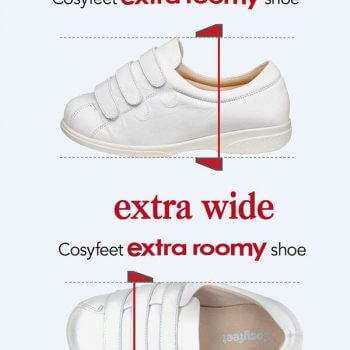 There is a wide range of benefits of using Cosyfeet shoes. 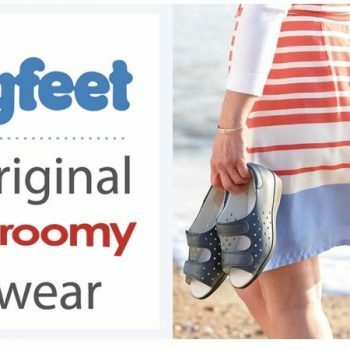 Cosyfeet shoes allow you to enjoy leaving your home and continue to live independently. 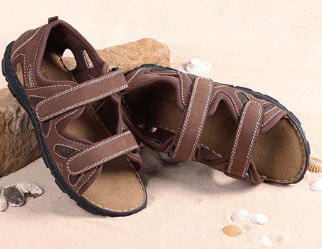 We offer a range of shapes and styles of Cosyfeet shoes. 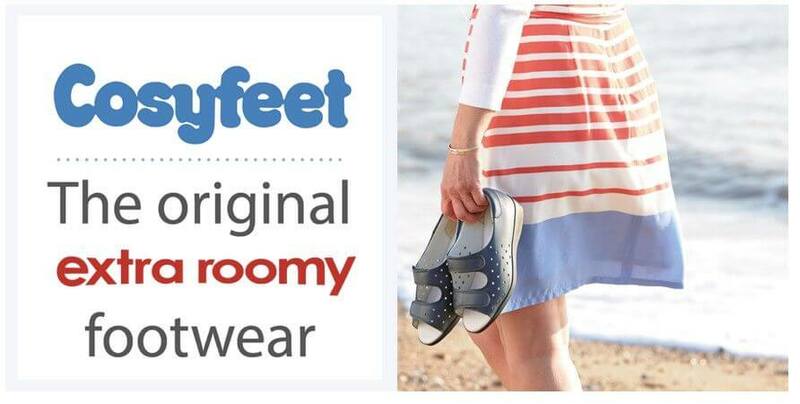 We are proud to offer cosyfeet products for both men and women. 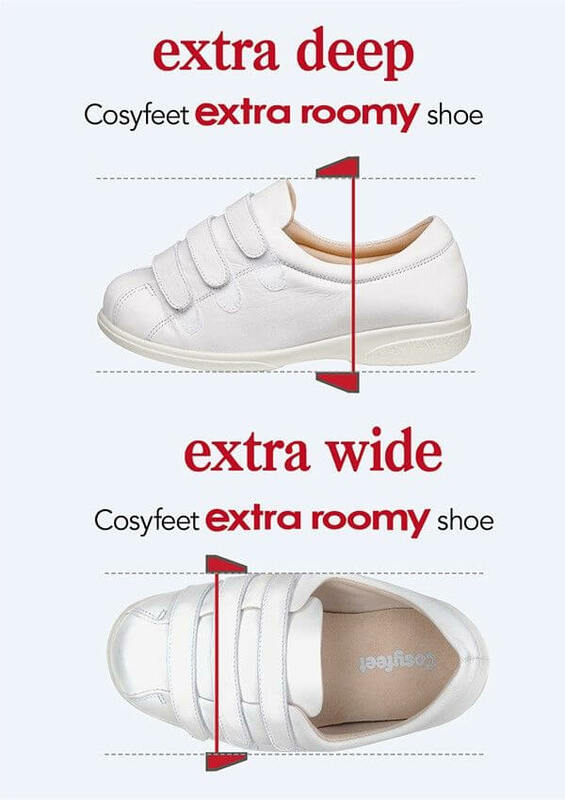 Cosyfeet footwear is designed to fit feet that are larger than normal. This is because it is common for swelling to occur among our clients. All the products that we offer here at Independent Living Minehead are of very high quality. Only the best quality materials are used to create the mobility footwear that we offer. 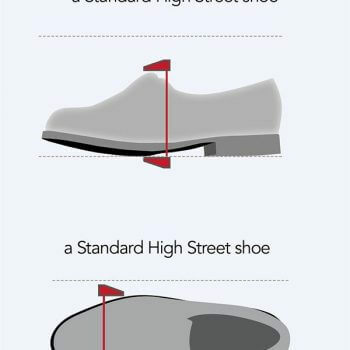 This ensures that the footwear we offer is not only comfy but is long lasting. 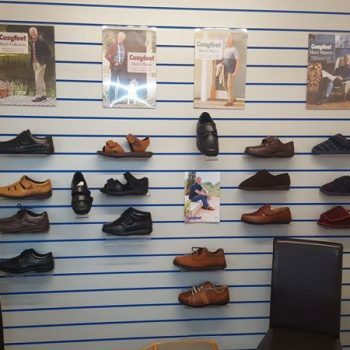 Our range of shoes is vast, and each pair is specially created by experts. 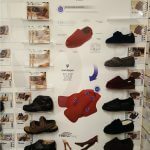 There are shoes for men and women, and if you can’t get to us, we’re more than happy to come to you. Maggie, our retired podiatrist, comes to your home, and helps you to find a solution best for you. We’re also able to come to nursing or care homes, if this is easier for you. 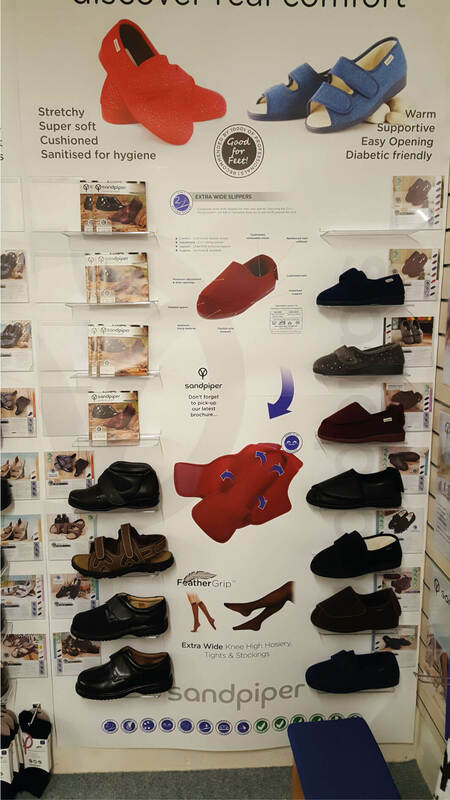 Contact us, in Minehead, Somerset, for more information on our extra-wide shoes and slippers. 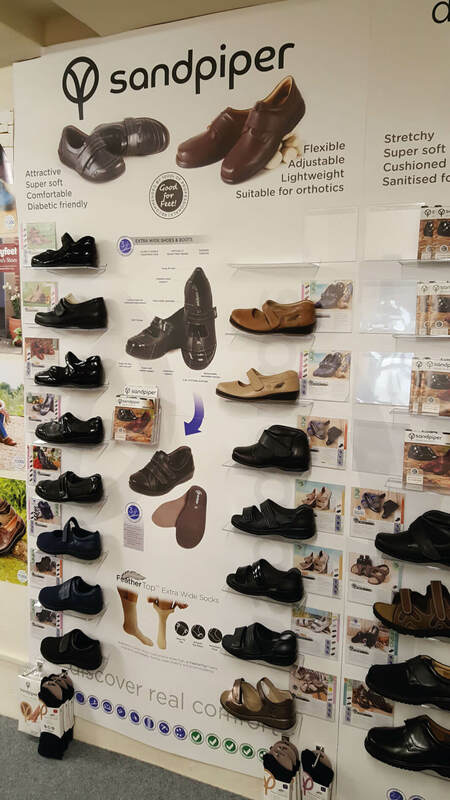 Discover real comfort with our range of wide fitting Sandals, Shoes and Boots, perfect for swollen and wide feet. 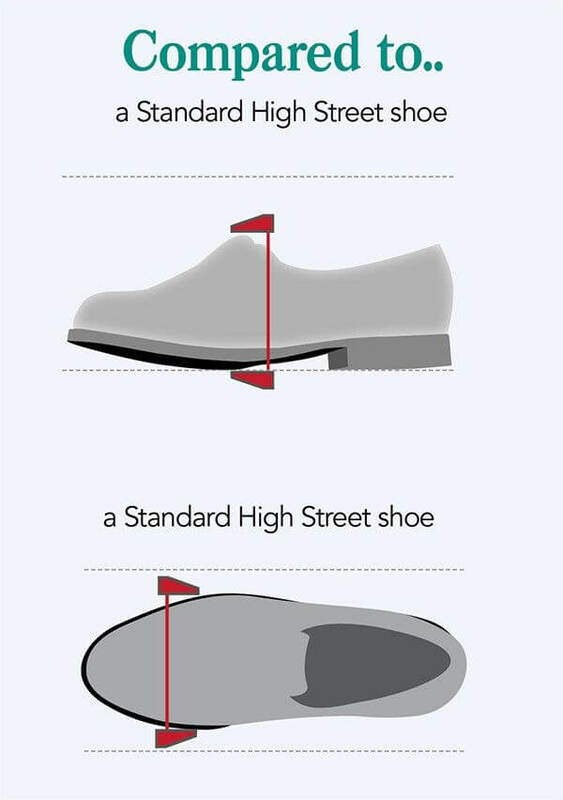 Sizes include 4E to 6E and we have developed many useful features to make our shoes stand out, from extra wide openings to touch fastenings our shoes are innovative and most of all, comfortable. 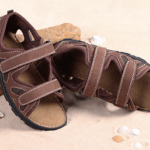 Sandpiper products are designed with super soft leather uppers and linings, deep cushioned padding, ultra flexible construction and a huge amount of adjustment. 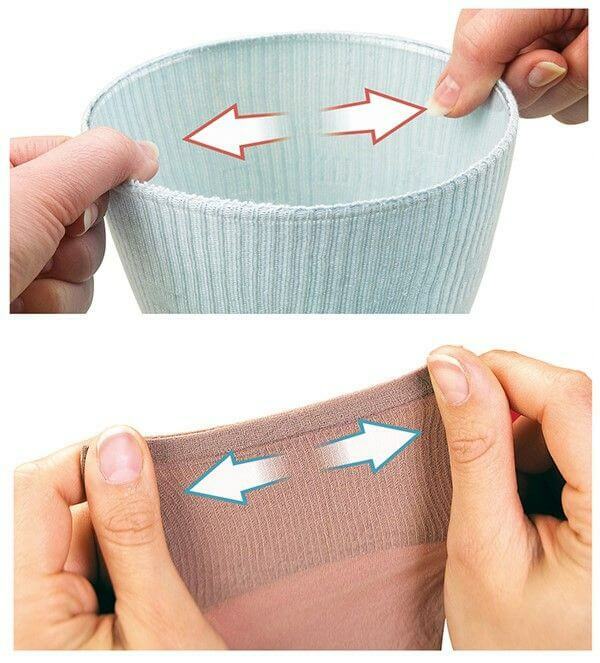 Many of the styles use touch fastenings to give the best possible adjustment and fit around the foot. 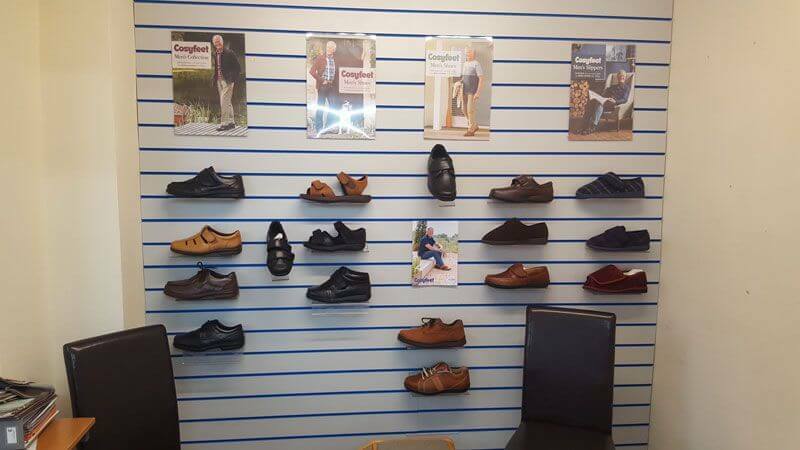 Visit our showroom to check out the full range of wide fitting shoes we offer.